George Square was originally laid out in 1766 by a speculative builder named James Brown. It represents the first new development outside the overcrowded Old Town, being constructed a year before Edinburgh’s New Town. The original terraced houses remain on the complete western side and a section in the NE corner; all these historic structures are now protected as Category A Listed buildings. 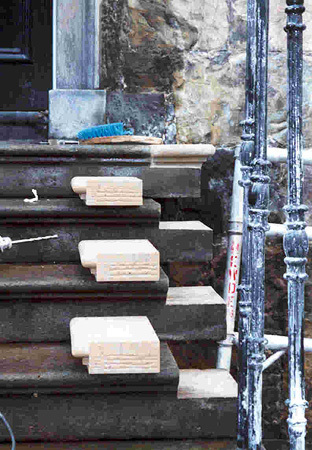 Pictured: During works: indenting masonry sections. 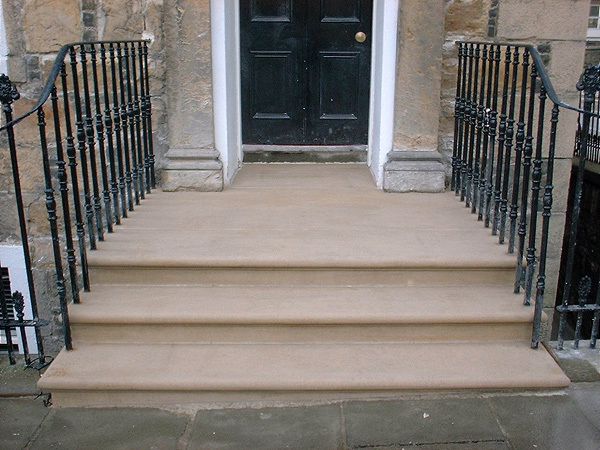 LTM were contracted by Edinburgh University to replace the Georgian steps forming the entrance to this prestigious townhouse terrace. LTM masons replaced the step/platt and arch stones in Clashach sandstone complete with rubble masonry infill. The masonry was matched to replicate the existing in terms of architectural design (profile) and colour/texture (stone type). Sections of masonry were cut out and indented as required. 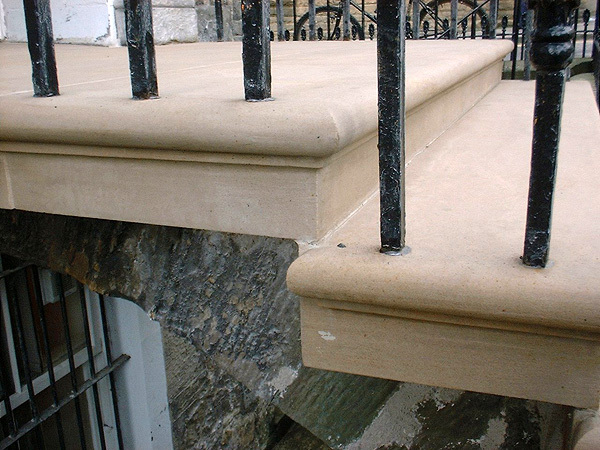 Traditional lime mortars were used throughout; the composite being thinned down with 1% casein powder to produce the desired consistency for grouting dowel holes.